Compare the leading treatments for Prostate Cancer and consult your doctor about your options. Very few GI or rectal side effects have been reported. Five days per week for up to nine weeks. 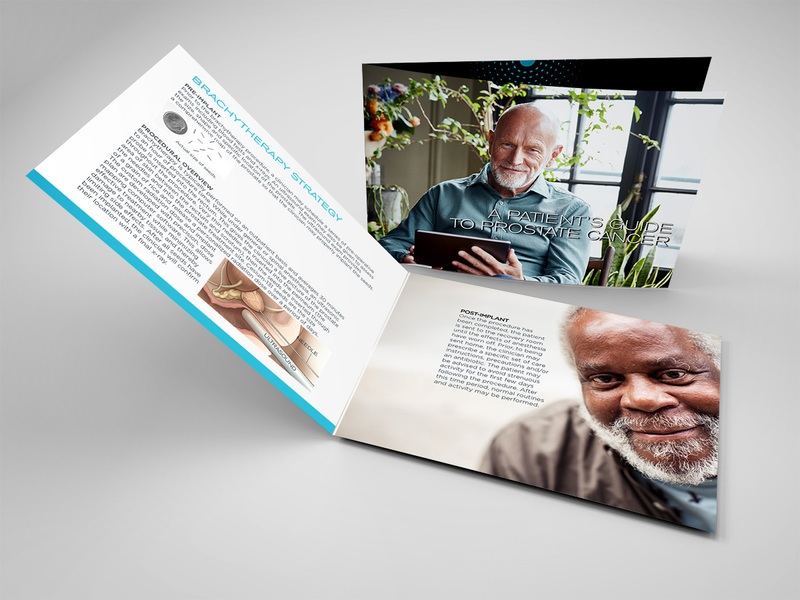 If you or a loved one has recently been diagnosed with prostate cancer and want to learn more, download our patient guide. Compare your options and talk to your doctor. You have questions — we want to help answer them. A diagnosis is just the first step toward treating your cancer. We are here to help you make an informed treatment decision with your doctor so you can begin living your life again. Cs-131 is a favorable isotope for use across a wide range of tumors and its dose distribution properties facilitate easy calculation and use in the clinic. Is brachytherapy only for prostate cancer treatment? No. While brachytherapy has been used extensively over time to treat prostate cancer, its application goes beyond prostate to other treatment areas. We are seeing particularly exciting applications in head/neck, brain, as well as other treatment areas. With brachytherapy (or seed therapy), cancer-fighting medical radioisotopes are implanted in and/or around the affected tissue, as close to the cancer as possible. The isotopes are encased in capsules the size of a grain of rice and release a radiation dose, tailored to each patient, over a period of days. This allows doctors to effectively treat the infected area without damaging nearby tissue, and thereby reducing negative side effects. Learn more about brachytherapy here. How effective is brachytherapy relative to other treatment types? Brachytherapy has been found to be just as effective as other forms of treatment but has the benefit of shorter treatment times as well as having less side effects. Learn more about brachytherapy here. What are the advantages of Cesium-131 by Isoray over other isotopes? Cesium-131 by Isoray has a higher average energy as well as a shorter half life than other commonly-used radioisotopes (I-125, Pd-103). Benefits of these unique attributes are a reduction in some common prostate side effects (such as urinary or sexual performance side effects), greater coverage of the infected organ, and a reduction of the total radiation treatment time. Learn more about the benefits of Cesium-131 by Isoray here. Who can I speak with regarding my treatment? We're proud to be connected to many of the finest brachytherapy practitioners in the US. You can learn more about their work as well as contact them directly via our Cesium Pioneers page. Doctors going above and beyond against the fight with cancer. Sign up to learn more about Cesium-131 and Isoray. Doctors across the US are using Cesium-131 by Isoray in powerful ways with great outcomes and we'd love to share their stories with you. Thank you! Check your email over the coming weeks for our newsletter. The Isoray team is here to help. Contact us below and our experts will help connect you with clinicians, researchers, and our support team to answer your questions about Isoray and Cesium-131. 1. John B. Malcolm et al. Quality of Life After Open or Robotic Prostatectomy, Cryoblation or Brachytherapy for Localized Prostate Cancer. Journal of Urology, Vol 183, 1822-1829, May 2010. 2. Jim C. Hu et al. Utilization and Outcomes of Minimally Invasive Radical Prostatectomy. Journal of Clinical Oncology, Vol 24, Number 14, May 10 2008. 3. Michael J. Zelefsky et al. Comparison of Tumor Control and Toxicity Outcomes of High Dose Intensity Modulated Radiotherapy and Brachytherapy for Patients with Favorable Risk Prostate Cancer. Urology, Vol 77, Issue 4, Pgs 986-999, April 2011. 4. Robotic Prostatectomy FAQ’s. City of Hope Web Site, 2012. 5. Gregory S. Merrick et al. Brachytherapy in Men Aged ≤54 Years with Clinically Localized Prostate Cancer. British Journal of Urology, Vol 98, Pgs 324-328, 2006.